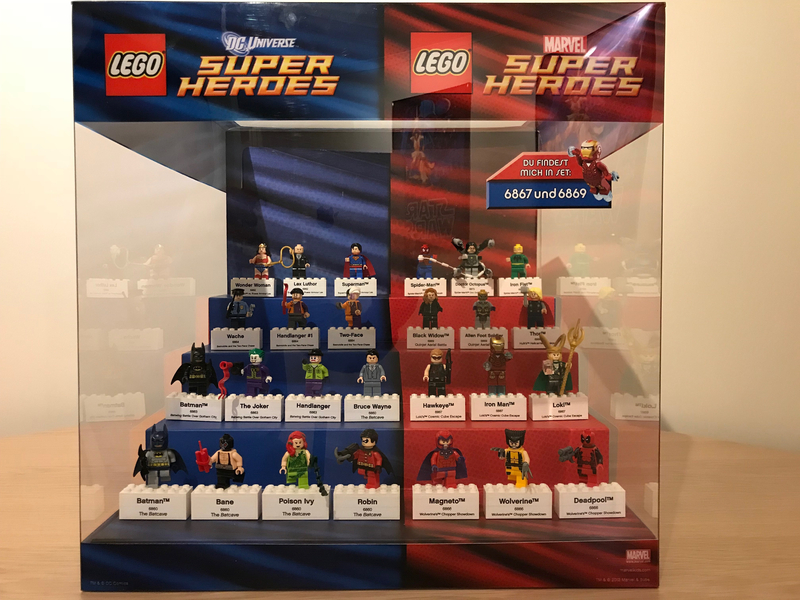 I have picked up a few LEGO store displays in the past and the best ones for me are the ones that just contain minifigures from a particular theme. 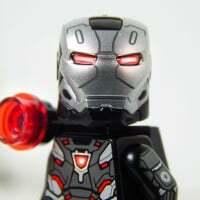 I have seen two versions of this, one with 24 Minifigures (12 DC & 12 Marvel), and the other like this one with 26 Minifigures (14 DC & 12 Marvel). 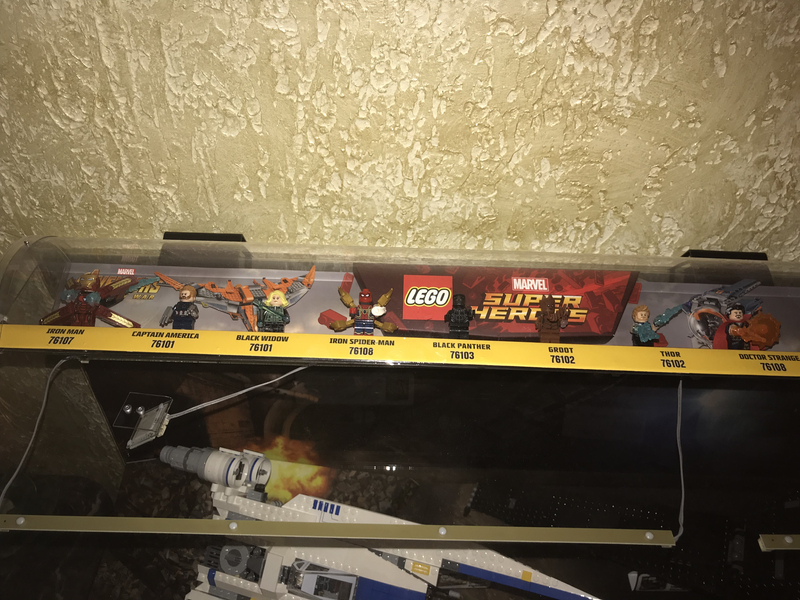 I also have a few Star Wars ones, and all 3 versions of the Yoda Star Wars Minifigure only display ( the 3 different versions, contain the same minifigure selection, but have either LED lights in it, standard display, or slim line display. 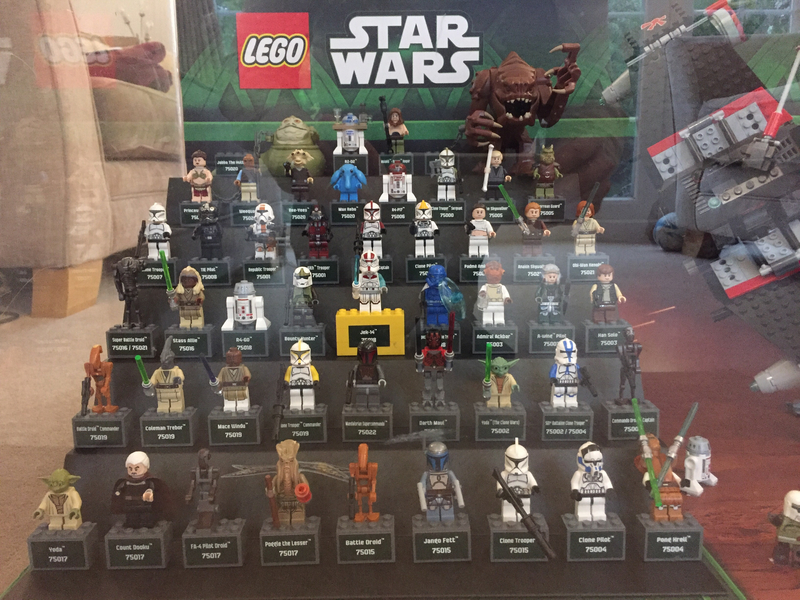 And although I gave this post a LEGO Store display Minifigure title, I have one of my favourites below, again this is a Star Wars Yoda display, but this time with a few extra items included.. plus LED show. This was from the US, with hard plexiglass. The minifigures are glued, right? How does one obtain these? 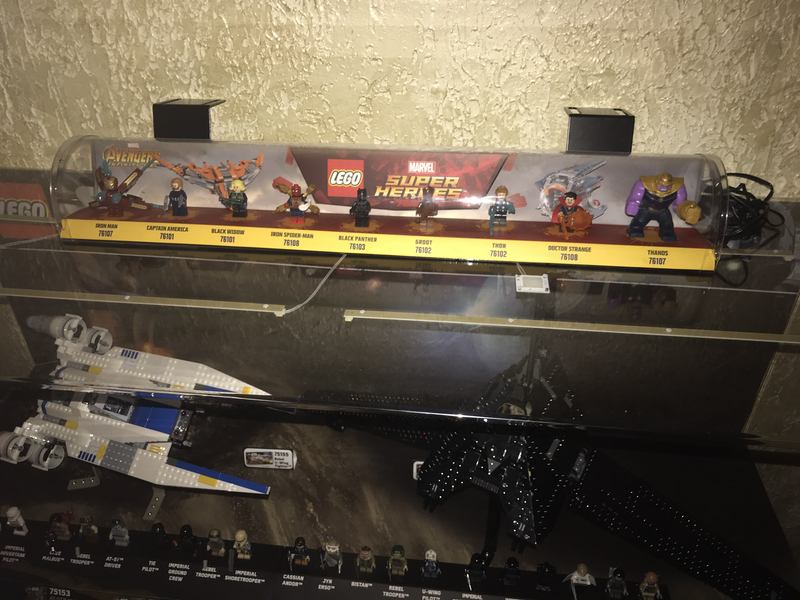 I have wanted the displays from my local target for ages. Know the right people or steal it. That's one way of doing it, but you'll want to make sure it's an open window, otherwise you're likely to set off alarms and arouse suspicion when the glass breaks. It is exceptionally difficult - and most of the Target displays do not make it to the secondary market. They also don't ship well. 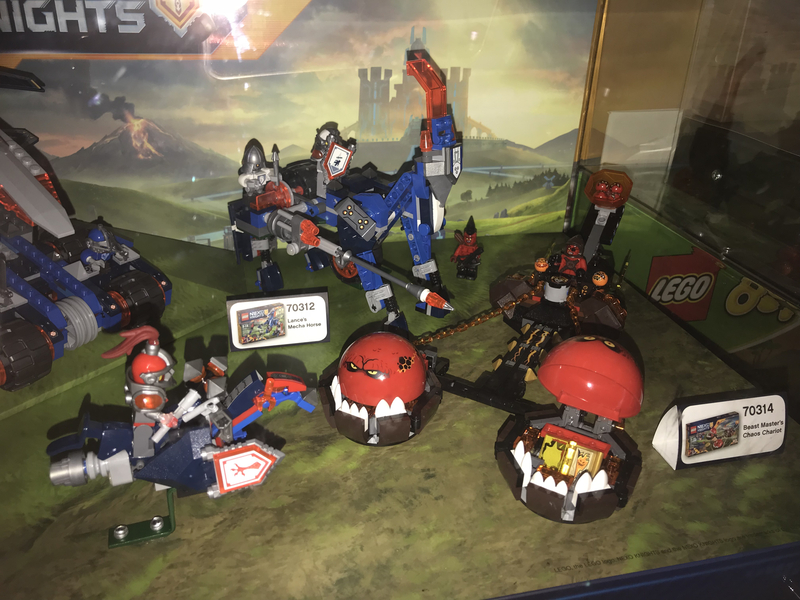 I was never aware TLG did display cases like this - ones focused on minifigs are really nice for the licensed themes, but particularly that massive one with Jek's ship too. In fact, it seemed like Lego were obsessed with Jek 14 because they gave him a bright yellow pedestal - it must have been the height of Yoda Chronicles hysteria. 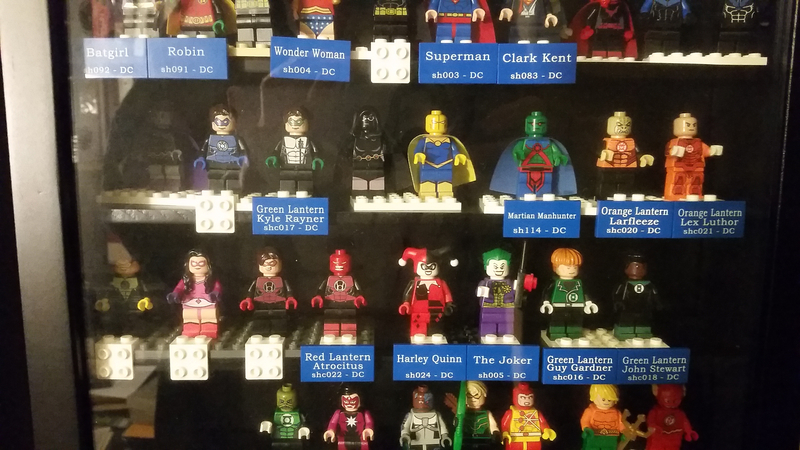 Also kind of funny to see Marvel and DC characters right next to each other in the same case. Any of of the Perspex display cases are very difficult to keep in good condition so it looks like you've done well so far. I wish I knew my local Lego store employees better - perhaps it's because 'local' is around 3 hours and £40 away for me. You might have to go a bit further afield to obtain these. 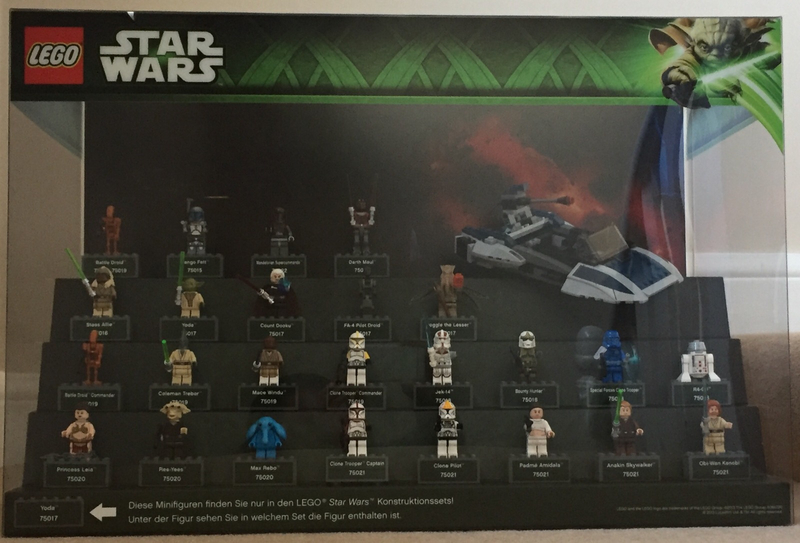 If you look at the smaller minifigure only displays, they all have German text on them.. And the larger one is from the US (Shipping for this one was very expensive). And as @SumoLego mentioned they don’t ship very well. So getting these to the UK can be very hard.. And costly when they arrived broken, as it’s very hard to claim against the shipping company! When I worked at Target in '09 those went into the compactor by mandate. I tried really hard to rescue an Indiana Jones display to no avail. I do have a Star Wars Yoda minifigure LED display brand new in box, still with the protective wrap on the plexiglass. So in Europe at least there are ways to get them brand new before they reach the store. I also know of someone selling 4 x large Star Wars French minifigure displays, some brand new and in box, for just under €3K. And will ship them to the UK. (These are hard to find like this). Thats if you have the space to display them... I don’t have the space to display, and don’t want to get them to just put them in storage.. PM me if interested and I’ll pass on the details. I've asked a couple of times at the local target last year when they had the displays on a cart heading out, and was told they have to get thrown in the compactor. I think this may be my best LEGO store display to date, straight from the US.. Very happy to get this, as I have been looking for one for along time. 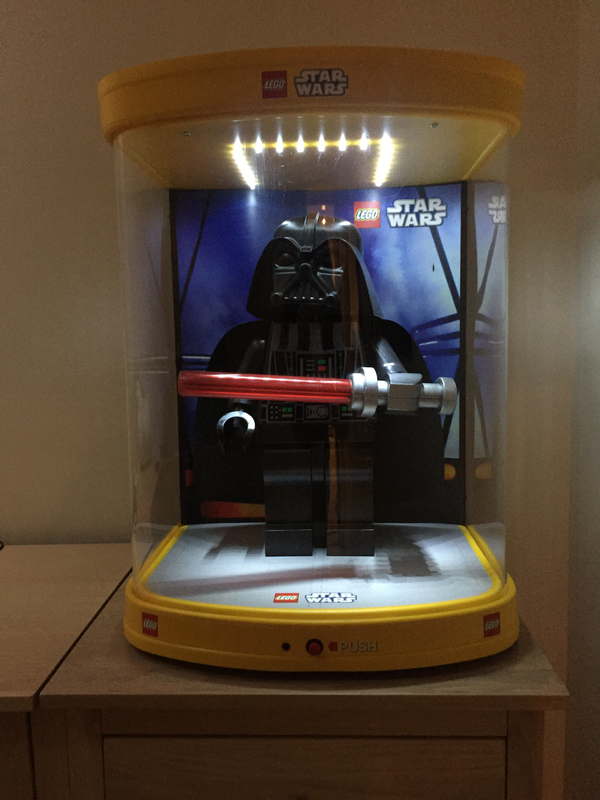 19” Darth Vader with Lights and motion. 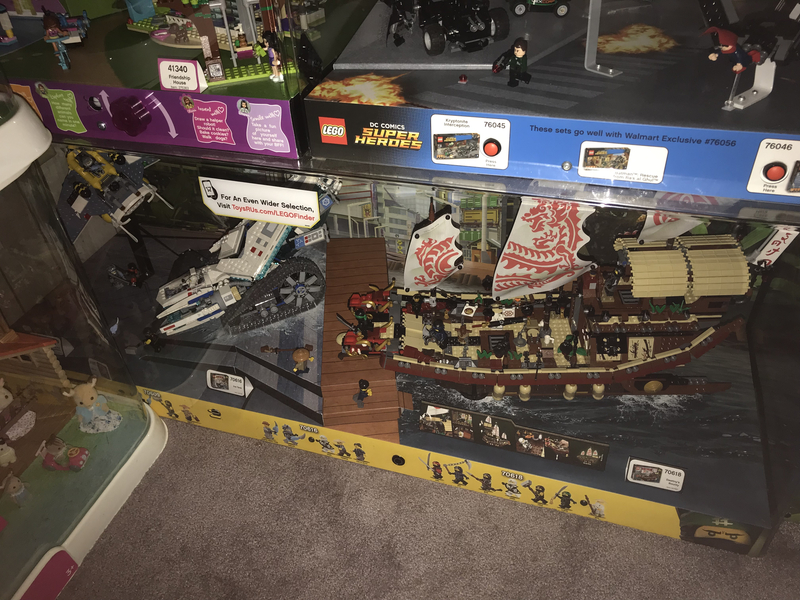 Hello, I’m new to all this lego stuff but my ex was a bit of a hoarder , obsessed with legos, mint condition Star Wars and getting his hands on nib lego sets..then he would carefully air tight store them away and never look at his finds. Am I sitting on a gold mine here? I’m fixing to put my kids in college so could I get some directions on where or if I should sale some of these rare items . I don’t know what to do with it but I would love to make good for my kids if possible. Any ideas? Here’s a few pix of his most resent stuff that I’ve accumulated from him. I know he spent a fortune at auctions and random Craigslist sellers but I have know clue what or what anything would be worth..I’m willing to part most and ship anywhere as long as shipping fees are paid. Can anyone point me to a fair buyer? Not sure on their values, but if your Ex bought them shouldn't they be returned to him? Thank you..I’ve heard the same. It’s not easy letting go but I have thousands to sealed away and not being appreciated like they should. Truly this collection needs a museum as he kept some story logs along the years.. many memories and miles to some. For the glass displays, you are probably best off trying to find a local auction company, especially if they have a toy sale. They cost so much to ship, they have little value if sold by post/internet. They are also the sort of thing that if you want to buy a specific one at a specific time, then they can be expensive. Whereas if you want to sell, they can be cheap unless you can find the right buyer. Value wise just to give you an idea. Marvel Super Hero’s shelf tube figure display (I haven’t seen this one before): $125-150. But if a few come to market then the price can reduce. The others i.e. 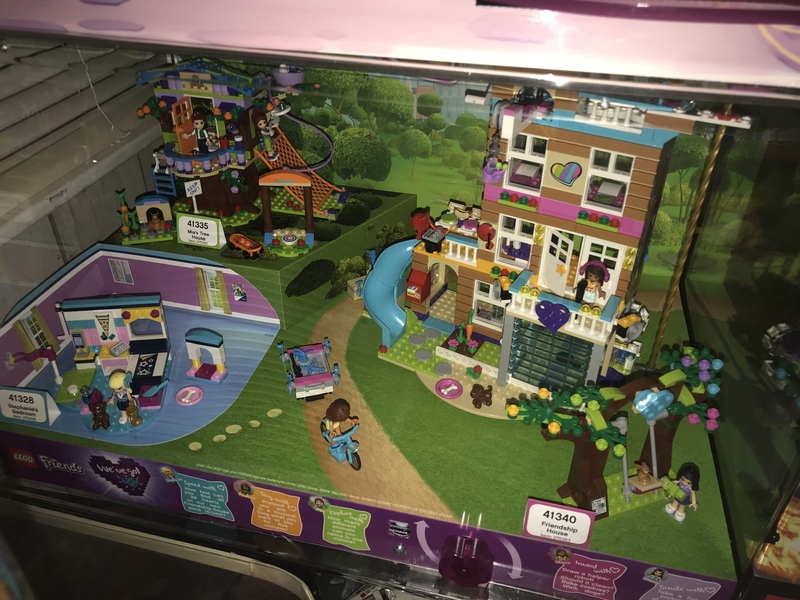 Lego City, Friends have less value, and probably will not get very much in an eBay auction. If you have the original shipping boxes it helps. And if you have any brand new in wrap and shipping box, then these sell better. Only downside to these is shipping (cost and being fragile) and also if you do a pickup only then you reduce you potential sales down. 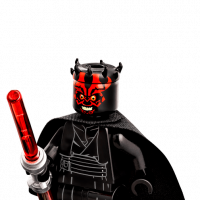 If you have anything else you want rough prices for, I’m sure there are experts in every LEGO field on the forum, which can help you know the right price. 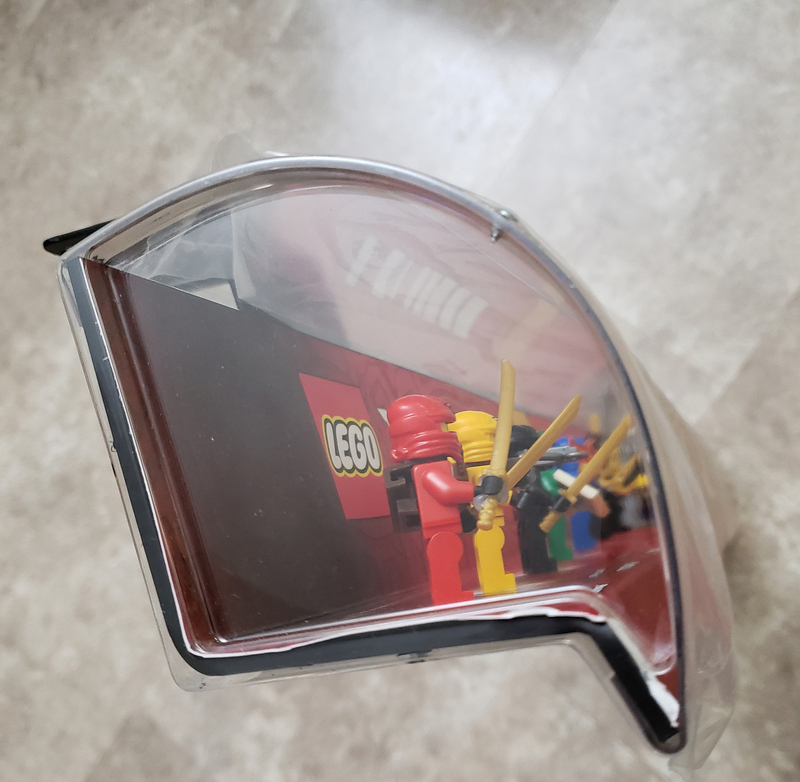 Is anyone creating labels like these for you minifig displays? Would love to be able to do this effectively along the lines of DJ, R2-M3 minifigs etc. I do. I get tiles printed with Bricklink identifier. It started getting a little expensive though at $2 per tile. I made my own fig destination for customs and knockoffs so if I croak, my wife can list them on Ebay with accurate descriptions. Hmmm... $540.00?!?! That seems a bit steep. 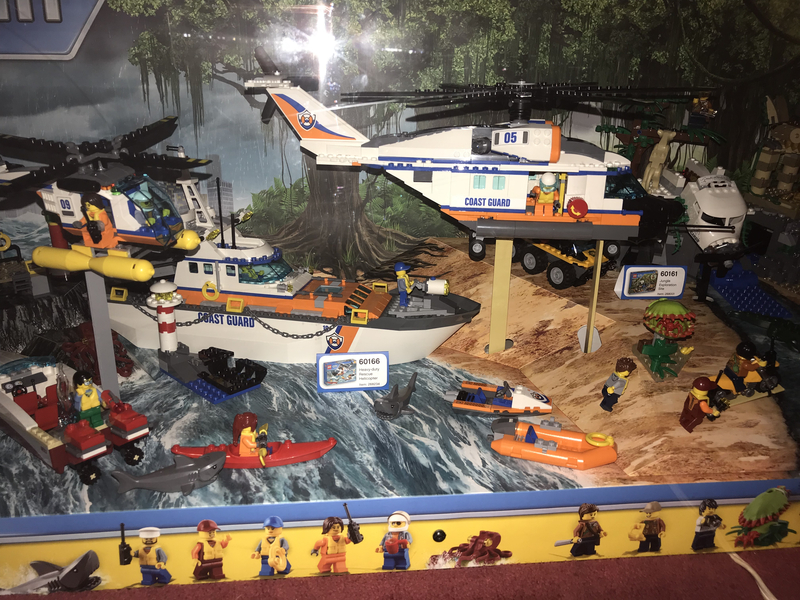 @Runnay7 ; If you have a large number of LEGO sets for sale, as well as all those displays... and since you live in South Carolina..... maybe you should inquire with this group, who is having a LEGO convention in Columbia SC... which is South Carolina's centrally located state capital. You might want to get a list of (what sounds like only MINT) LEGO sets you want to sell, as well as all the displays... and sell it all at this location. 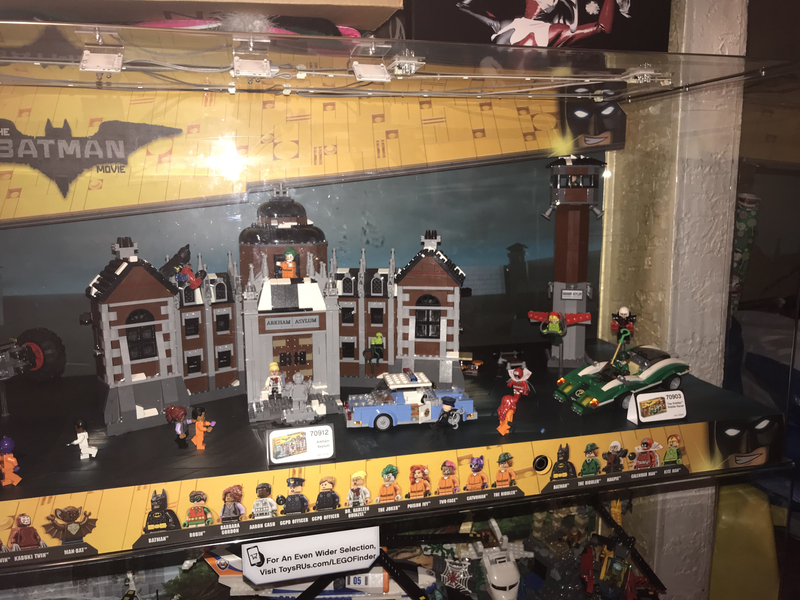 You can check the Brickset or Bricklink sites (or Ebay) to determine what the sets are worth... and if you were to go to such a convention... you could hypothetically unload all of your late husbands LEGO sets. You might find this preferable to a slow process of selling items on Ebay... which involves a lot of packaging, shipping and the headaches of bad arrivals (UPS used your sets/displays as footballs). Just something to think about... since this convention is a month away. 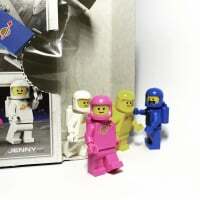 Hi, new forum member here however have been using Brickset for years just not the forum. Just resurrecting this thread to ask about the marvel/batman mini figure tube displays. Just bought one but one of the end caps got damaged in transit. 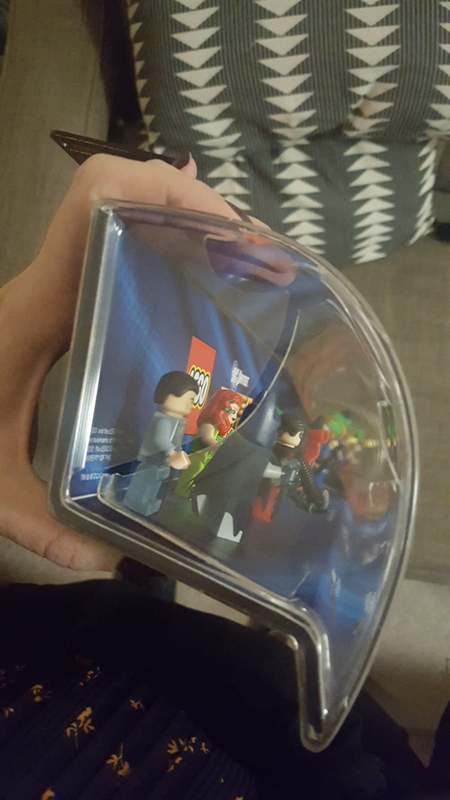 Any idea of where to get a replacement, or can anyone confirm what other Minifigs tubes would be the same design. I highly doubt you're going to be able to repair or find a replacement part for that tube. However, the tubes of this era are the same. I would say over the last five years, the minifig tubes have been consistent. The one below was made in 2014. There are Ninjago, Friends, TLBM, etc. that are a similar form factor. The caps seem replaceable - just no idea where you would be able to find one. Maybe someone has a less-desirable theme and you could get an undamaged tube and swap the caps. Hi, thanks for the info. Looks like I will be buying a donor set. The one on eBay is not in 100% best condition, but all the pieces are there, and it just needs a touch of TLC. The plexi glass looks good which is the main thing. WHAT! That is a waste i would buy them from them. They're not for sale, and any Target employee would face all sorts of disciplinary action for selling or even keeping those displays. It makes me want to mourn the death of those Lego sets. They're all glued. So I believe they are actually being put out of their misery. They're in a better place not being stuck in a plexiglass tomb for eternity, but instead have a chance of being recycled into an actual working LEGO brick. If one of those ever came to market the bidding will be intense.. let’s hope you can find someone who wants a private sale.. they are very cool..